I love the convenience of freezing the entire bag and I love it that it holds a protein drink plus a small amount of ice! The zipper is challenging to unzip if you freeze the entire bag but I just run a little water on the track of the zipper and it opens fairly easily. Overall, I love this product! Thank you for the ingenuity! 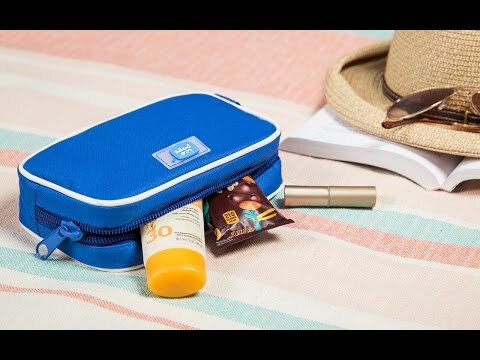 It is great to have a small insulated bag for your lipstick, chapstick and even iPhone. When your at the beach all day put your phone in a clear bag and slip it inside the Icepops and it won't get to hot! Multiple uses for items you need to keep cool! Different for others, as I need to transport extra if travelling for more than a 4 week duration. 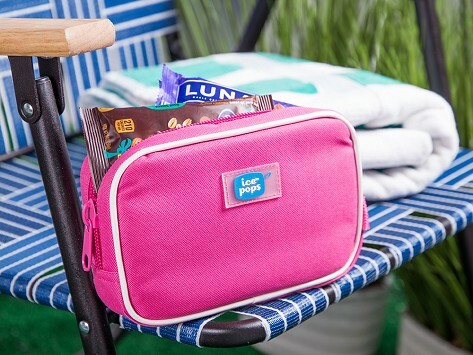 Very handy for small items you need to keep cool on a hot day! Great for medicines, lipsticks, or a tuna fish sandwich!